Across 2 Cultures - Cross-Culture Parenting and Lifestyle Blog: The flu bug got her this time. Well, my baby is sick again. :( It's not the new tooth which is making her grumpy and giving her a fever, it's the flu. And my poor little thing has been so ill this last month that she has not been putting on weight. She is only 100g heavier than a month ago. We went to a new Paediatrician as I felt that the previous PD prescribes medications (e.g antibiotics and cortison) too quickly and does not sufficiently explains the purpose of the medications nor the illness/recovery process to me. It's hard for me when my baby is ill and even harder when I do not get information of what is really going on. Plus, I do not like putting too much medication in my little one. Ha! I don't even believe in taking medication myself when I'm sick. *Not that it's a good thing when I am really ill.* Anyways, the new PD is great. Although I did come home with numerous medications, two were vitamins which he explained would be helpful to build up Lae's immunity since she has been sick relatively more these last two months. Another one of the medication was homeopathic. He also told me to call if Lae does not get better within 2 days. I was advised to give Lae more fluid in terms of juice or milk as she needs the calories since her weight gain is on a low side for the month. So far, this PD's approach is very agreeable for me. So, in view of the fact that I should help Lae get back on track with her weight gain, I am more determine than ever to make sure she eats well. I went to buy some fresh produce for cooking her meals and got her the biggest spinach leafs ever! Don't believe me? Check this out. 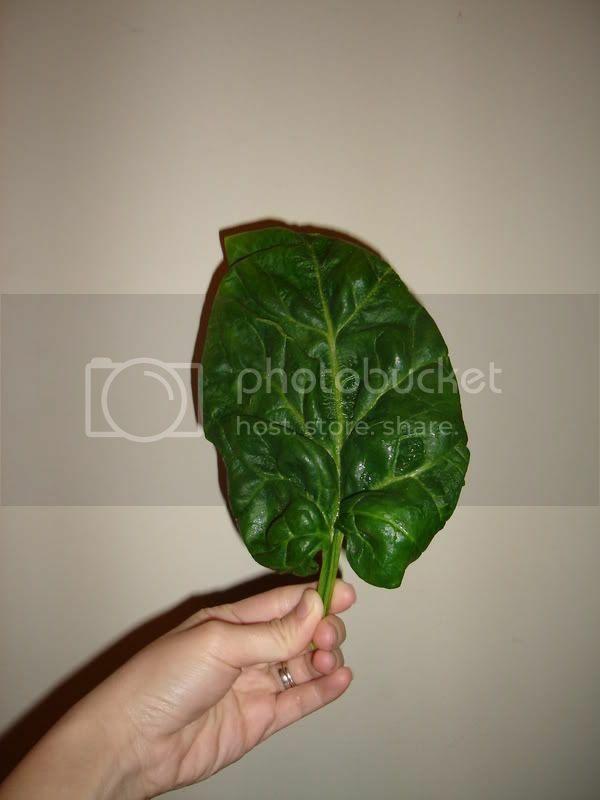 ONE SPINACH LEAF is bigger than my palm! I made spinach, tomato, carrots and lamb porridge for her today. I think it was yummy since she finished the entire portion (200ml) given to her. Onto more fun stuff, last Monday, my friend, fellow Message mum, Parisa, came over with little Amelie (or Millie as we affectionately calls her). The kidlets had a good time playing. 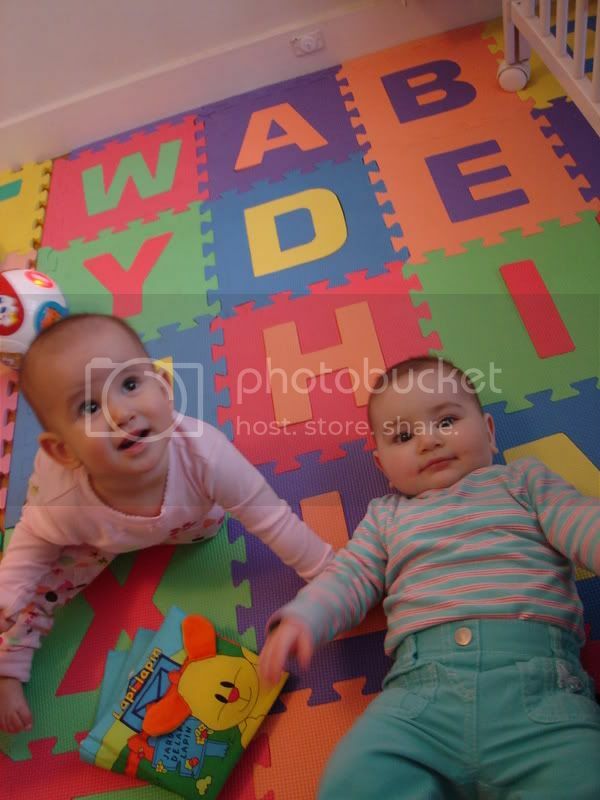 Here's a lovely shoot of the two cuties.